The actor who reincarnated Spider-Man and is one-half of the Internet’s most-loved pairing (seriously, if the Internet was a high school yearbook, it would name Andrew Garfield and Emma Stone Best Couple) is a huge star. But did you know that back in 2007, Andrew Garfield was in two episodes of Doctor Who ? Garfield was featured in “Daleks in Manhattan” and “Evolution of the Daleks.” His role was that of Frank — a young man from Tennessee living in a Hooverville in New York City during the Great Depression. As someone who is actually half-American and half-British, it kind of made sense that Garfield would play an American on a British TV show. He helped the tenth Doctor (David Tennant) and his companion Martha Jones (Freema Agyeman) fight the Daleks. For you non-Doctor Who geeks out there, the Daleks are the Doctor’s oldest enemy whose outward appearance looks like a robot. They also say "EXTERMINATE" a lot. They are usually focused on destroying all of humanity and the Doctor. And these episodes were no different. (Cause if living during the Great Depression wasn’t tough enough, you need to add Daleks to the mix.) 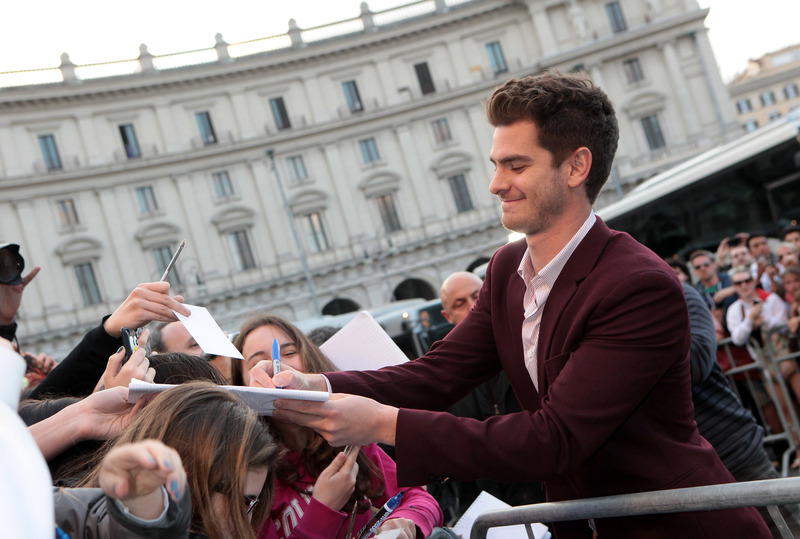 Except this time, Andrew Garfield was in danger! And there were humans being turned into pig slaves! Not cool. Frank immediately comes off as likable — thanks to Garfield — and it was refreshing to see Martha have a young guy to hang out with, especially since the Doctor always kept his distance with her. Along with adding a fresh face to the mix, Garfield was a guest star who could successfully do an American accent (although my opinion of his southern twang may not be super reputable since I hail from the North, but hey! I bought it). Not all of the early guest stars of the Doctor World reboot fared as well with their accents, but Garfield had the advantage of being born in LA — even if he was raised in Surrey, UK — and of being a talented actor. And the caliber of guest stars has only seemed to improve over the years. It almost goes without saying that Garfield has come a long way since his bit part in Doctor Who. He’s had star turns in The Social Network, Never Let Me Go, The Amazing Spider-Man, and its recent sequel. Garfield was also on the Broadway stage in the revival of Death of a Salesman, opposite the late Philip Seymour Hoffman back in 2012. Despite his fame, Garfield still remembers his short stint on Doctor Who (because no one forgets the Doctor), even if his recollection is a bit spotty. Garfield is definitely not the only familiar face to join the Doctor for an adventure and it's always exciting to go back and see celebs we love when they weren't as well-known. It's like we get to be proud parents. Next, we'll be gushing about how happy we are that he's found such a great girl. Oh wait, we already do that.